The legend of the caped Kryptonian has long been in my memory. As a child, I loved to watch Christopher Reeve as Clark Kent, battling Lex Luthor and his devious plans, or Terrance Stamp’s General Zod, or himself as an evil Superman, hell, even that Nuclear Power bloke in the fourth one…and as I grew up, so did the character development. We had Dean Cain’s incarnation brought to us on a Saturday evening in the Lois & Clark Adventures and who can forget my personal favourite, the Smallville TV series where a young Clark Kent is seen to grow into his powers with the ultimate goal of becoming Superman. Superman as a character is iconic, from the red cape to the old fashioned underpants over tights look. The “S-chested” superhero has always been a vision of good and hope (that’s what that “S” symbol stands for on Krypton folks). But Man Of Steel brings forth a new element to the myth and legacy…what would us Earthlings do if Superman actually existed? The answer would be simple. We’d wanna run some tests, blow the fucker up or report him to the Immigration Board to get him shipped back to where he came from, and that’s where Director Zack Snyder and writers David S. Goyer and Christopher Nolan take us. In essence, this film portrays a “real” earth, where man’s instincts would be to launch missiles at anything not human and go all “Independence Day” on the alien scum. Henry Cavill as Clark Kent/Kal-El/Superman smoulders on screen with a look very akin to that of Smallville’s Tom Welling. We see his inner workings, his heart and his soul bared for all to see when the world just cannot accept him as our saviour and friend, when all he longs to do is fulfil his four Parents’ dreams of becoming a beacon of light and hope for all. Cavill nails the role with ease. 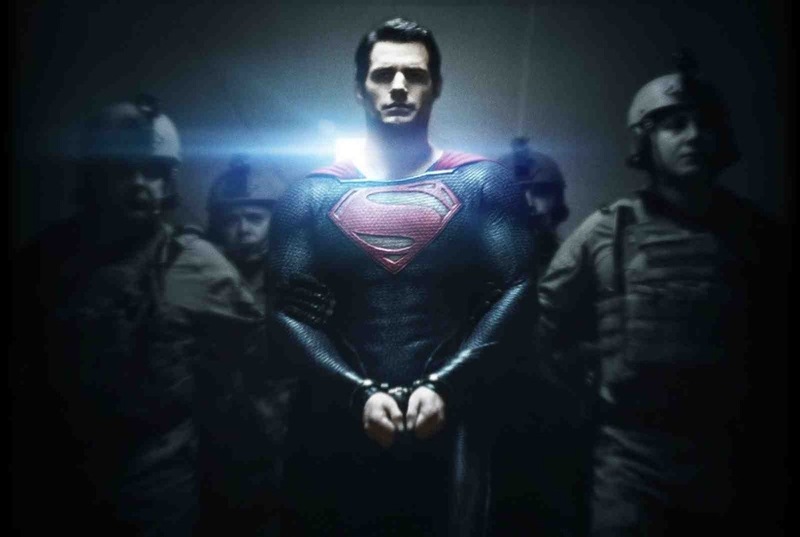 And it’s a much better take on the Son of Krypton than Brandon Routh pulled off in Superman Returns previously. Cavill clearly studied the look and determination in the performances of Reeve and Welling and grows beyond them. Amy Adams as Lois Lane is another spot on piece of casting. Always looking for the right story in the wrong place at the right/wrong time and getting embroiled in something she shouldn’t. Lane isn’t a particularly hard part to pick up on, but Adams is there or thereabouts. Then we have the determinedly evil General Zod, played by Michael Shannon who does his damnedest to evil-grin and gurn his way through a role which was always played a little more subtle by Stamp in Superman 2. Shannon’s Zod is thoroughly pissed off, having wanted to rebuild Krypton in his own vision and rule all, but after being thwarted by Jor-El, turns up the anger gauge to 11 and really goes to town. And speaking of Jor-El, we have Russell Crowe in the role made famous by Marlon Brando in the original movie. Jor-El’s role is a simple one. Dispatch Superman to earth and guide him through a series of ghostly guides to make him aware of who he is and what he is capable of. Crowe plays the part well and we see much more of him than we ever did with Brando, and the opening 15 minutes of the film is squarely set on Krypton with Jor-El as the lead, trying to save his race for good. The whole film is put together amazingly. It has really brought the character and the whole world of Superman back into a “cool” way of thinking. Gone are the cartoon/like setups and cheap laughs, this is serious and in some instances gritty. The fight scenes are some of the most amazing SFX I’ve ever witnessed and everything is simply stunning. Speaking of which…Lex Luthor is long though to be Superman’s arch enemy…but personally, I don’t think Luthor is that great a character as a standalone baddie. He’s not super-powered, he’s nothing that special, so if we do get to see a Man Of Steel 2, would I like to see Lex Luthor in it? Yes. Would I like to see someone else as the main bad guy…? Definitely. 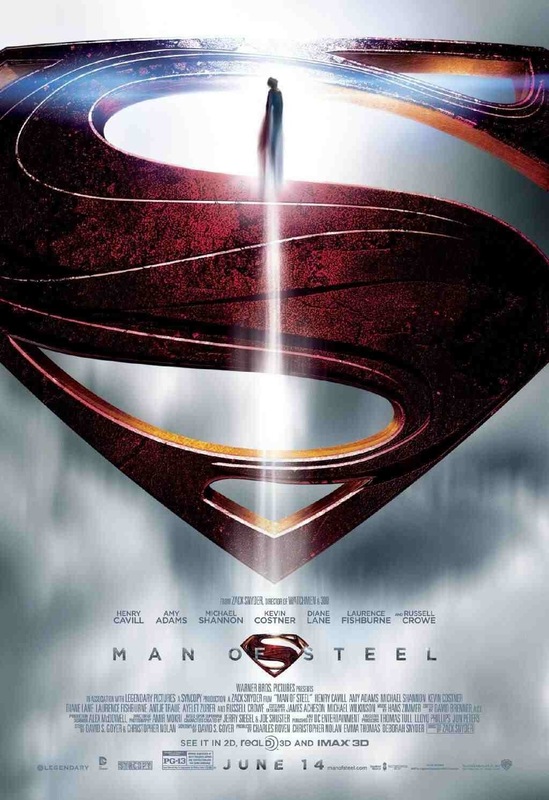 This entry was posted in 2013, 365, Movies and tagged 2013, Amy Adams, Diane Lane, Henry Cavill, icheckmovies.com, Kevin Costner, Krypton, Man Of Steel, Michael Shannon, New Superman Film, Russell Crowe., Superman. Bookmark the permalink.